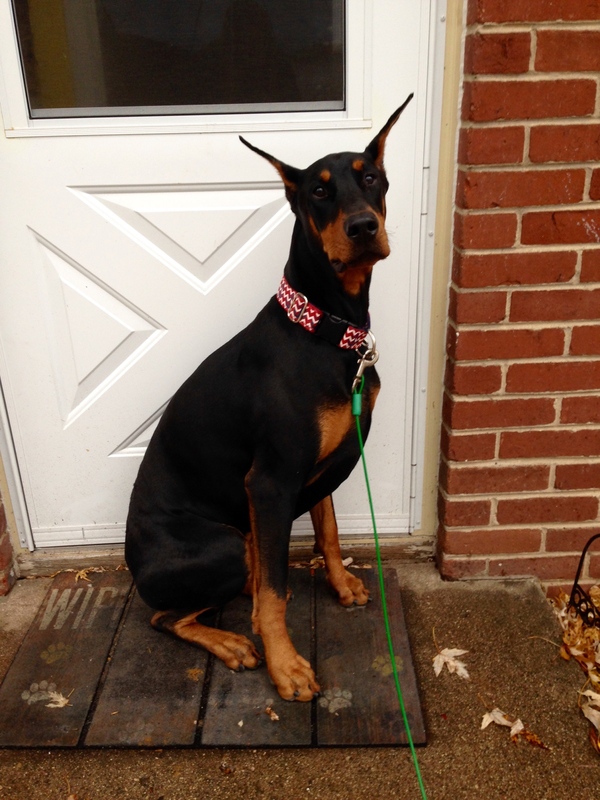 Doberman Forum : Doberman Breed Dog Forums > Doberman Specific Chat > Doberman Related Chat > Would this Count ? could take the picture of me booting the dog out the door with all four brakes (feet) engaged. Well---- These are not the replies I was hoping for So what you 2 are saying is -- That If I want to enter the calendar contest - I will have to take one or both out in the rain ?????? If I get them out there - I'm going to Blame Aunt Bonnie and Aunt Mel !!!!!! I don't want them to think I had anything to do with it ! Incidentally, who's the muscle man? If it was you, I've got to change my mental image. WHAT ???? Nothing about that deep - rich - even tan ???? That takes most of the summer obtain - from out mowing and working the farm - day I - day out ? Last edited by TNfisher; 04-07-2019 at 07:41 PM. Mocha should be thrilled that she does not live in Portland or Seattle. Our dogs get their walks rain or shine. They do have raincoats that they like, as they associate the coat with a nice long walk. And, they have figured out that they do not "melt" in the rain. Plus they love the dry towel rub down when they get home. I'm thinking if rain was a way of life, she'd get used to it. Maybe, lol. And now that you mention it, the towel rub is a fave, she gets one after coming in from the rain and she loves it.